General Sarath Fonseka, during the period he was Chief of Defence Staff (CDS) of the Army had held discussions with JVP's Tilvin Silva to obtain advice from Silva on matters relating to military affairs, claimed National Freedom Front leader, Wimal Weerawansa today. Speaking to the media at his party office in Battaramulla this morning, Weerawansa claimed that Fonseka had clearly violated the statute of the Army thus eroding required discipline. He further claimed that General Fonseka has had discussions over the phone from USA with Tilvin Silva and the recent public statement to that effect from Silva was by itself sufficient evidence to prove that charge. 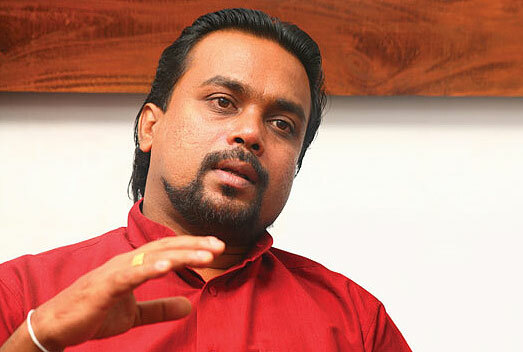 'A UNP MP who is also aware of certain developments in this regard has already revealed evidence', Weerawansa noted. He said General Fonseka few days ago had told BBC that he was prepared to disclose alleged war crimes during the battle against the LTTE if there was any. "I challenge Fonseka to speak straight as the former Commander without using the term 'if' merely to keep others in suspense", Weerwansa stressed. Weerawansa pointed out that any army officer was bound to respond to charges up to six months after retirement as specified by military law. "If we do not take action against Fonseka for violating military discipline, we would not be able to uphold discipline in the defence establishments", he noted. He added that if General Fonseka had won the election, the government had information of lists of people to be eliminated within 24 to 72 hours, prepared by him.